Many of us add fitness or weight loss-related goals to our New Year’s resolutions. Why not start right away? We have a great idea to get you going in the right direction: outside and onto the hiking trails! 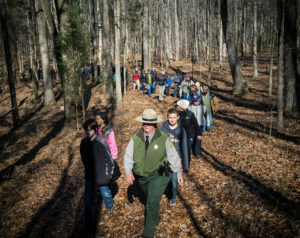 On New Year’s Day, North Carolina State Parks is hosting First Day Hikes in all 41 state parks. This is part of a nationwide program launched by America’s State Parks. The program encourages everyone to spend the day outdoors at a state park near you. These hikes will be led by park staff. The staff will guide participants through the trail and share local history and ecology along the way. Blue Cross and Blue Shield of North Carolina (BCBSNC) is also hosting guided hikes on New Year’s Day. Hiking experts will guide guests along easy to moderate trails. To find a NC State Park First Day Hike near you, go to the NC State Parks website. First Day Hikes are a great way for new hikers to kick start a year of outdoor adventure. They are great for families who are looking for a new way to spend time with their kids and encourage them to lead a healthy lifestyle. They’re even great for experienced hikers. You may learn a thing or two about your favorite park from the staff leading the hike! As part of the First Day Hikes, NC State Parks is hosting its 100 Mile Challenge program. The initiative encourages visitors and residents of North Carolina to traverse 100 miles of North Carolina trails and waterways in 2017 by hiking, walking, biking, running, swimming, paddling, skating, riding on horseback or rolling on wheelchairs. As participants log miles on the website, they earn digital badges for visiting state parks, participating in events and being active on holidays. Those who complete the 100 miles before the end of the year will receive a pin and other prizes. The 100 Mile Challenge program gives First Day hikers motivation to continue exploring the state’s beautiful outdoors throughout the year. 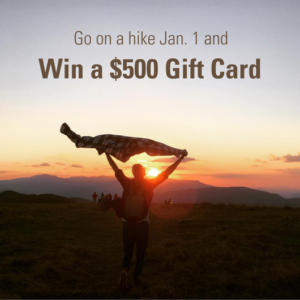 For those who have already signed up for the challenge, joining in on a First Day Hike is a great way to kick start the new year and earn a special First Day Hikes badge. 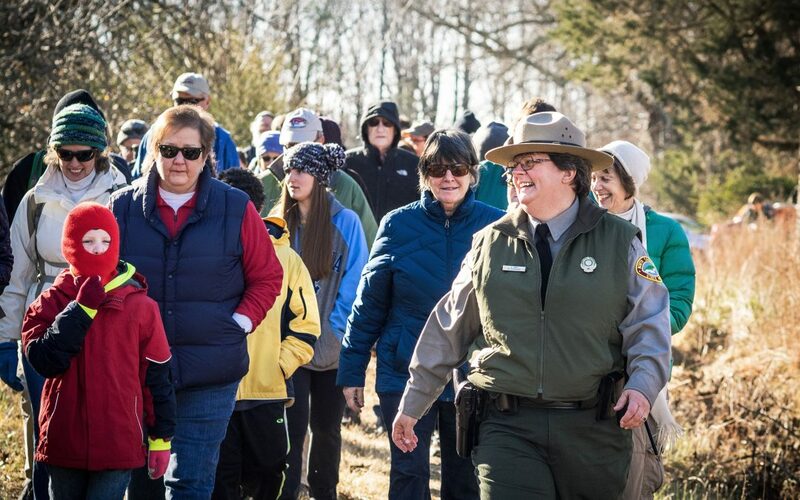 Throughout the year, North Carolina State Parks offers guided hikes and fun events to encourage everyone to explore the parks and get their 100 miles. In the spring, BCBSNC and NC State Parks will be kicking off a new series of Hike NC! hikes. These are family-friendly hikes led by a park ranger or a hiking expert in state parks and other North Carolina trails. Kris Anne Bonifacio works for the web and marketing department at North Carolina State Parks.